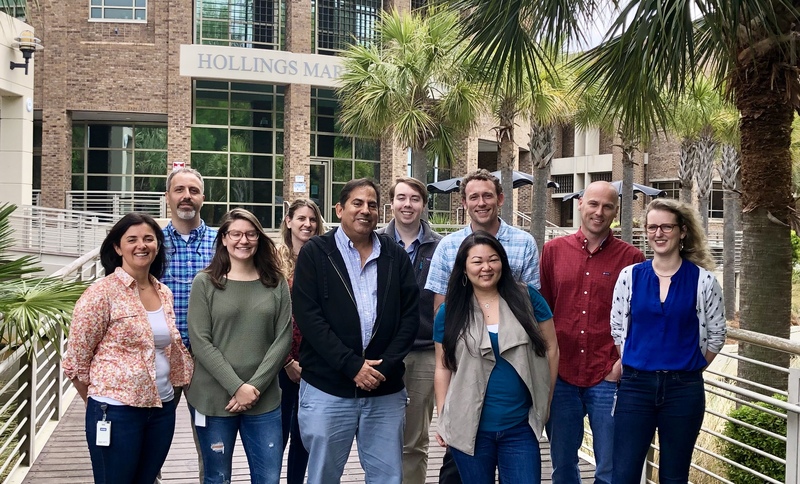 The Marine Biochemical Sciences Group’s mission is to perform state-of-the-art bioanalytical measurements, provide reference data and tools, develop standards, and advance the measurement sciences to support the nation’s needs for research on marine organisms. Activities comprise the development of bioanalytical methods to characterize, identify, and quantitate molecules pertinent to marine organisms using multi-omics techniques. Available raw and processed data by organism and data type. The Marine Biochemical Sciences group is an important and unique component of NIST’s strategic plan as its mission is at the interface between Chemistry and Biology. The MBS marine mandate plays a crucial role in the Hollings Marine Laboratory partnership with NOAA, MUSC, CofC and SCDNR, as it provides the partners with measurement science solutions for an assortment of marine-related projects such as developments in marine biomedicine applications and precision medicine (another NIST strategic goal), environmental issues related to climate change, and temporal studies of marine organism health through application of current or new analytical and biochemical techniques. Additionally, certain projects are aimed to define cellular and biomolecular measurements that will enhance genetic and evolutionary studies, food web studies and integrated exposome studies. The Marine Biochemical Sciences Group is dedicated to the application of measurement sciences and technology to the assess problems related to marine sciences and human health. Our emphasis is to characterize, identify, and quantify molecules pertinent to marine organisms and human health using multi-omics techniques.